My girls currently go swimming weekly and have been swimming for quite some years now. 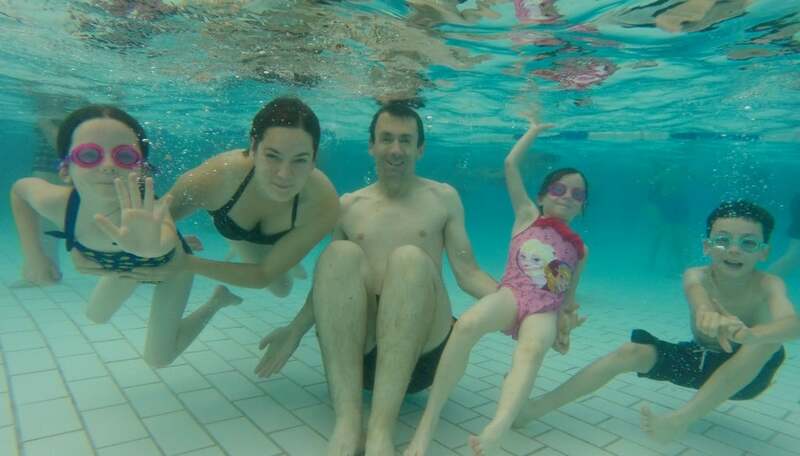 Swimming is such a fun activity to do as a family. However there have been times over the years where it wasn’t quite as fun! My son developed quite a fear of it and found it very difficult. I think kids should be able to swim as it’s a good skill to have for both fun and safety. So we stuck with it, found a teacher he was happy with and he’s fine now and he loves it. 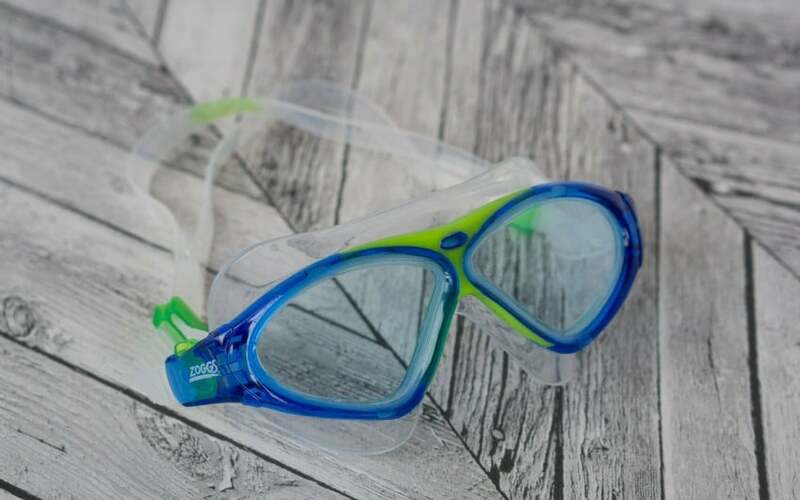 I wanted to put together some of our favourite swimming items for kids. Practical items, fun items and essentials. I am featuring products that we currently have, products that we have used in the past and products that have been highly recommended within my friends circle. *Post contains affiliate links, you do not pay any extra for purchases made through my links. However I receive a tiny amount of commissioned for my recommendations. I only recommend products that I would use myself . The only thing that I struggle with when it comes to swimming is the getting dry afterwards! Getting dressed into our clothes but having wet hair dripping down their backs whilst getting ready. If I am on my own with the girls too I can’t dry their hair at the same time. They have always tried to wrap their hair up like I do with mine at home however it never stays up! 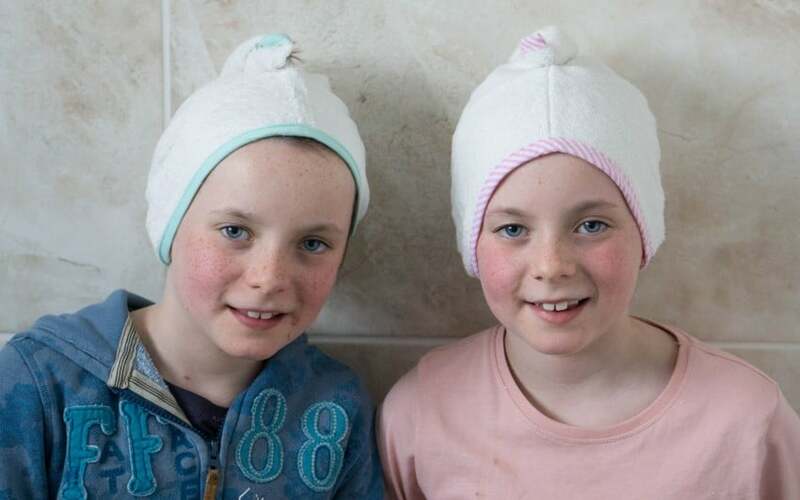 These Cuddledry Cuddletwist is a great towel that scoops up their hair, twist it around and then attaches to a little elastic hoop on the top to hold it into place. They have been brilliant. We have purchased swimsuits from quite a few places now, mostly supermarkets. 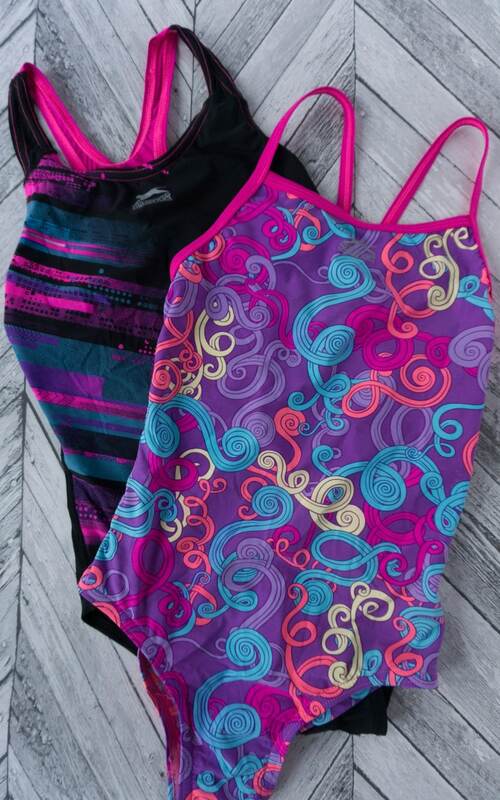 We’ve found that Sports Direct offer the best quality swimsuit at a good price. These ones were both £10.99 at the time of purchase. If you’re purchasing them from in store don’t get confused like we did and think they don’t do kids swimsuits. They are on massive swimsuit hangers that stretch them and make them look massive!!! This seems to be quite hard to get hold of now and if you do it’s quite pricey. However it has been great fun and keeps the kids amused for ages. It encourages them to swim underwater, drive down and keep their eye on it! It shoots through the water so quickly and goes so far. So can be a problem at public pools that are very busy. I would love to use this at a private pool! Check out this video as it’s hard to explain how fast and far these go! 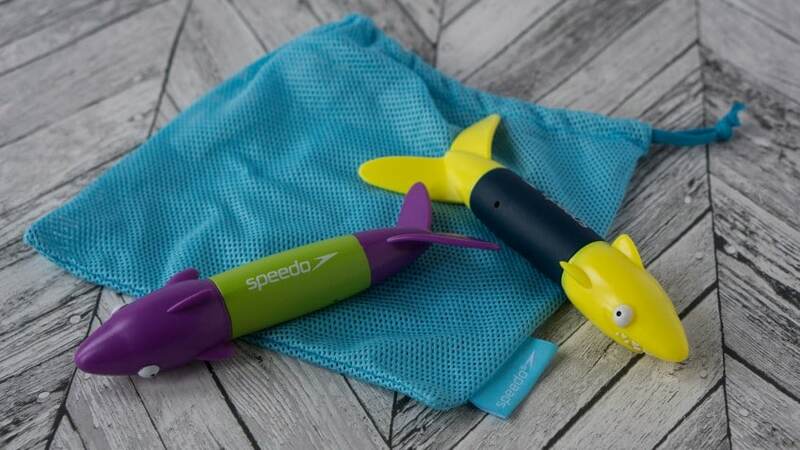 These little diving toys are great to encourage them to dive to the bottom to collect them. I used to use a brick to collect but these are much more fun and better for little hands. They come in a set of 3 for this price so lots to throw in and sink to the bottom! We have been using these outside their swimming lessons for practicing and it’s helping them so much with their confidence of diving. We have tried a few goggles over the years! We got these one recently and have found they’ve been working great. Stopping water getting in and annoying them. Which then stops them from messing around with them during lessons! When I ordered them though you didn’t get the option of what colour ones. 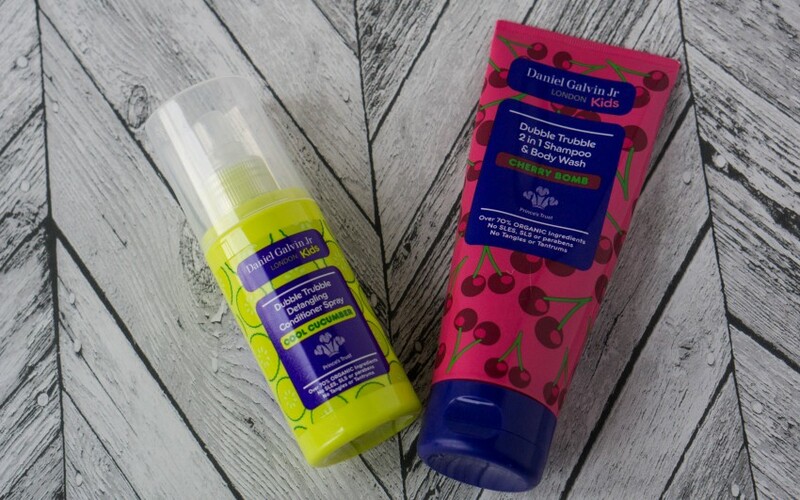 We’ve been sent some of the Daniel Galvin Jr Kids range of the 2 in 1 shampoo & body wash and the detangling conditioner spray to try out. The Daniel Galvin range has over over 70% organic ingredients which have been formulated to be gentle on delicate skin with the product being completely SLS, SLES and Paraben free. I loved that the shampoo was a 2 in 1 product. It meant that I didn’t have to have carry lots of bottles around with me swimming. The detangling spray was brilliant. We didn’t just use it for swimming, every hair wash. It got all the knots out straight away and didn’t make the girls hair greasy like other brands have done. I also think the price is very good too for such a good product. You can purchase it online, but also in Tesco and Ocado. I love these towels! Nothing worse than big huge towels that get soaking wet. These dry SO quickly and are so lightweight. They absorb the water quickly but not sopping wet. They can be hung on the line on the radiators and they will dry within minutes! I wouldn’t buy any other swimming towel now. They come in a range of sizes and colours so be sure to check the size you want. *Items marked with * have been sent to us for consideration for this post. However all thoughts, words and opinions are honest and of my own. Nice and bright aren’t they! Those quick drying towels are a great idea. I could do with some of those myself! Yes I fancy one for me too! I love swimming, and the kids too. I adore the swimsuit prints. They’re so pretty!! You’re not going to miss Lily with her bright one! Yep their perfect for swimming! My two have just got into learning to swim and have really started to enjoy being in the water. I have heard a lot about cuddledry, but have yet bought their products. I’ll have to give it a go when we return back to the UK. Those twisty hair towels are great aren’t they? My girls hair goes down past their waist so I find them a real necessity! Lovely items here. I like the look of the swimming suits. Really pretty design. Yes the girls have good taste! Love those swim hats ,sure as hell beats the ones that I had as a kid , I always felt it took my hair too once I managed to get the thing off! I don’t swim and my boys have learned but through school, I have a fear of the water but having said that I don’t mind paddling and I do know how hard it is to get everyone dry asap! Oh glad you like the cuddletwists too! Glad you like them! We have loved using them and make it much easier! Haha! Yes and if the hat was big enough it could go over the top of these!! My son loved going to swimming lessons however we had to stop as the time slot didn’t work for us and the waiting list otherwise is rediculassly long. I like the idea of the quick drying towels definitely something we need to get for next time we go to dip in the pool. Ah yes the frustrating thing of swimming lesson timings! We had that as well until a new pool opened up and we got in there straight away!!! They’re all great items. I’d love to find some quick drying towels for my son who goes swimming once a month with school. We’re looking forward to the warm weather returning do we can start swimming outdoors more regularly. 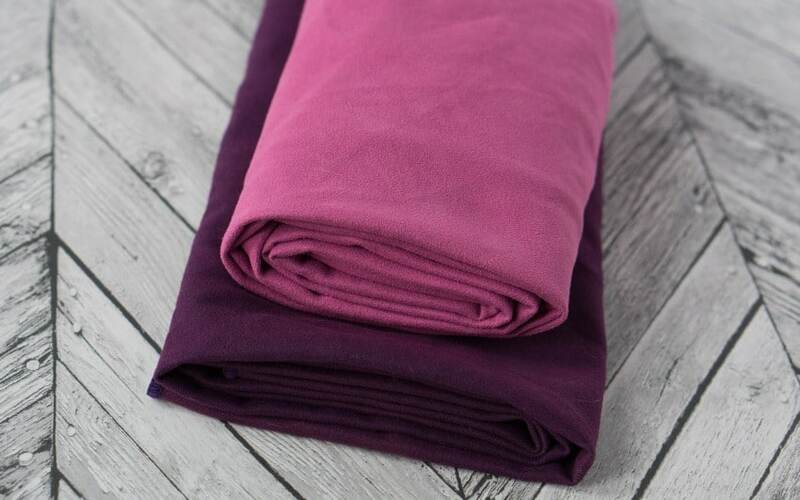 The towels are very lightweight too so great for not weighing down your bag once their wet!! My daughters love swimming and I’ve not heard of the quick drying towels before, must pick some up! We have one of those hair towels and they are magic for helping to minimize the coldness after you get out of the pool – also very useful in getting hair to dry faster post swim! Ah glad you like them too, I hadn’t seen them until now. I feel your pain when it comes to drying everyone off! We also have some turban towels which are a god send and allow us to dry the girls’ hair when we get home. I love the look of those hair towels, what a fantastic idea. 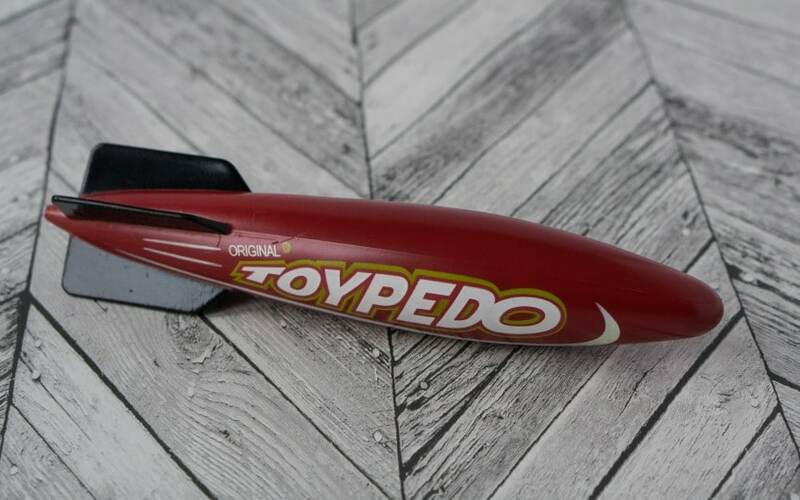 I’d quite like one myself! My three children have been doing swimming lessons since they were babies – and are now 8, 6 and 4. It’s such an important skill for them to have. Great suggestions of products needed. Those Cuddledry hair towels look great. I’ve seen their baby towels before but not the hair towel. Yes I didn’t realise they did them either, great idea aren’t they.